The power ezy hoist lift is an economical hoist that has a 181kg capacity. 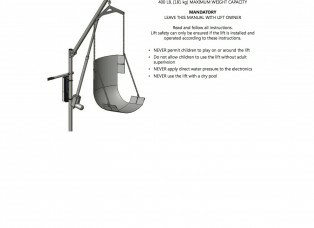 The lift has a powered hoist but requires a helper to manually rotate the lift. 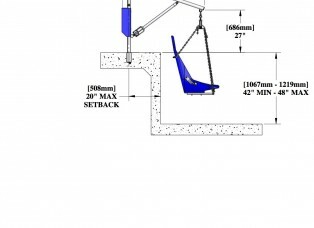 There is an option for mounting on a timber deck as well as on concrete. Like all the Aqua Creek products this is manufactured from powder coated stainless steel to survive in the humid atmosphere of swimming pools.